For an explanation of what we are aiming to achieve, click here. And for part one, click here. WOAP writers Jason McKeown (JM), Katie Whyatt (KW) and Tim Penfold (TP) continue their squad analysis by looking at players who we have high expectations for, who have generally achieved plenty – if not quite reaching those expectations. KW: If there had been anything akin to resentment towards Tony McMahon this summer, given he and Blackburn Rovers had spent a sizeable chunk of the off-season fluttering their eyelids in each other’s direction, he redeemed himself instantly the minute he clambered on stage in Echterdingen’s town square, beer tankard in hand, butchered Everywhere We Go and became a viral sensation. New era, same Tony. From that point on, the brief was simple: be Tony McMahon. And so he has existed, slinging in crosses with the indifference and nonchalance of a bored office worker firing paper planes into a waste paper basket, his delivery as consistent as Stuart McCall’s unchanging haircut, with enough wherewithal to temper the bravado that once saw him slap a Millwall player live on Sky. Still, McMahon has found himself amid a debate about City that looks unlikely to abate: are the team less creative this season than they were last? Statistically, yes – at least, according to Expected Goals. For the uninitiated, Expected Goals works out the likelihood of a shot resulting in a goal based on historic data accrued from thousands of games. City are scoring, at this point, more than expected based on what the Expected Goals model deems is a good chance – a through ball, for instance, that creates a one-on-one. 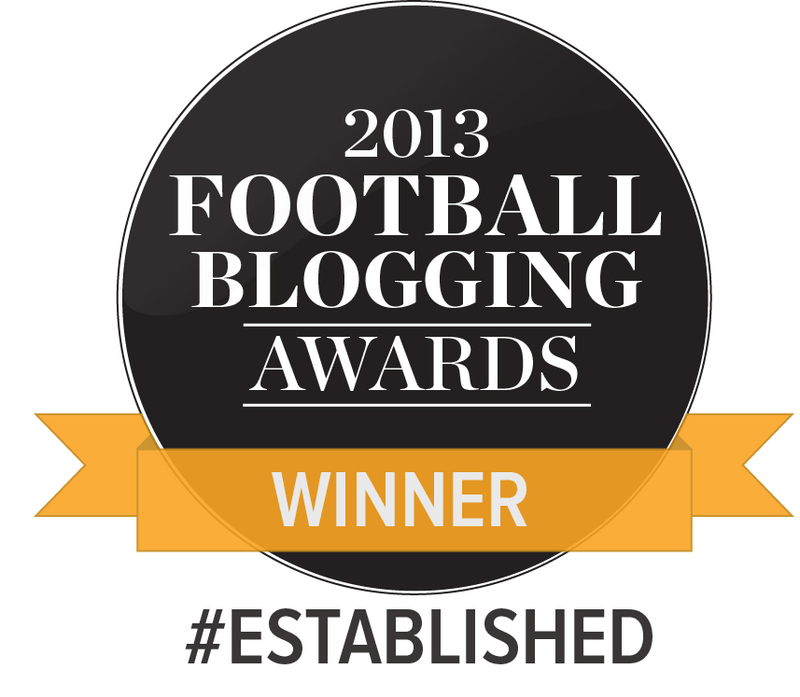 The caveat is that crosses and set-pieces are, generally, notoriously difficult to score from. 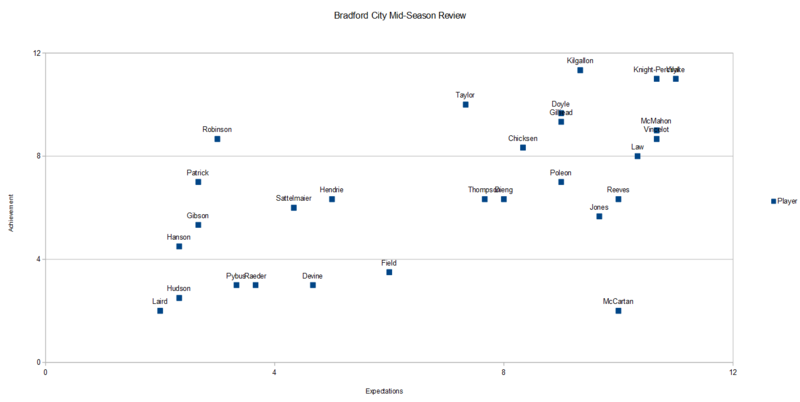 This season’s Bradford City are something of an anomaly in this regard: their approach exploits the aerial strengths of players like Wyke, Knight-Percival and Vincelot, and, given the accuracy of McMahon’s delivery, they are always likely to score. City are doing something very hard very well. As long as their key personnel stay fit, City won’t suddenly forget how to take corners. Helpfully, there is a period of absence to underline McMahon’s importance to this team, when he slipped taking a corner in the 4-1 away win over MK Dons and tore a hamstring (genuinely, apart from a vocal cord haemorrhage from arguing with the referee, is there a more ‘Tony McMahon’ injury than martyring yourself taking a corner? Like, at least the guy was doing what he loved). City’s form in the subsequent three league games tells its own story: they lost twice and won just once, scoring two goals. This season, McMahon has created more goals than anyone else (10). Charlie Wyke aside, it is difficult to think of a player who has the potential to be more important for City this season – Wyke is the only one, with ten goals and six assists, who can rival McMahon’s influence statistically. Ideally, you might want more from him defensively at times – McMahon was partly culpable for the penalty City conceded against Rochdale, misreading Knight-Percival’s pass as the pair scrambled back into position, and in doing so forced Sattelmaier into the fatal double-save. That aside, he’s just been McMahon. Number 29 is doing perfectly fine. 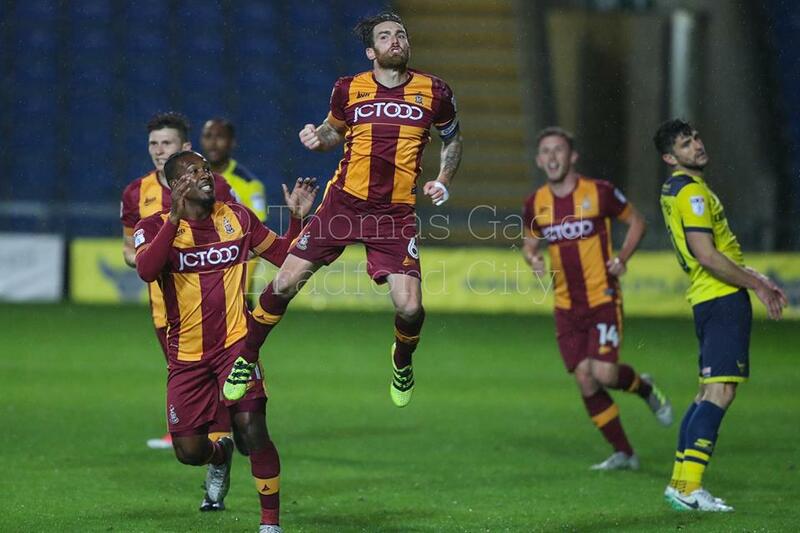 KW: Largely, Romain Vincelot’s second season at Bradford City has come as advertised. Mostly more fun than we expected, occasionally falling a little short of the brief – but generally Vincelot has become what he always suggested – at least, as much as he could in the centre half berth he made his own last season – he would turn out to be. This season was set to mark the first time Vincelot would be judged exclusively as a midfielder and so it has played out, Vincelot generally dominant, diligently screening the backline, happily marrying thunder and flair. 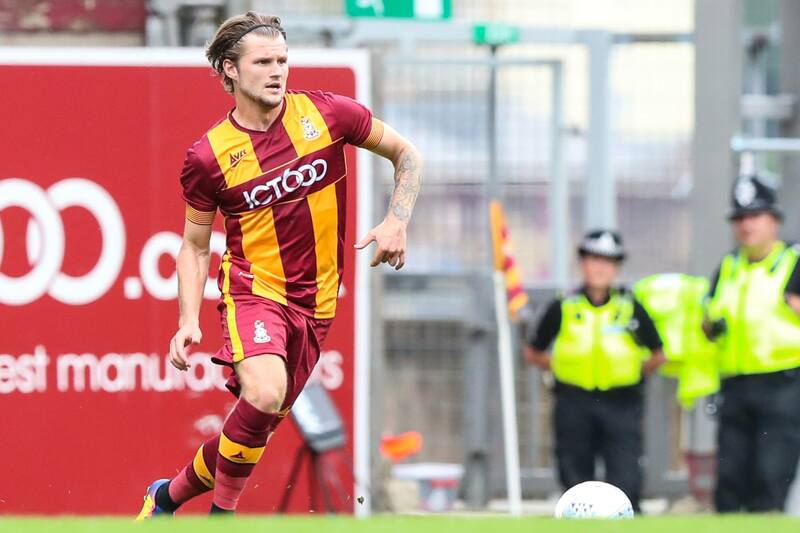 In a team built on such relentless forward-thrust as McCall’s Bradford City sides have been, there is always a risk that the central midfield pair, however structured, will find themselves exposed. McCall admitted after the 2-0 home win over Doncaster Rovers, for instance, that, in order to “play four right up against” the back three they had anticipated, City “were going to have to give up a little bit of the middle of the park at times”, and willingly surrender ground. That day, Vincelot’s distribution felt like an inevitable casualty – but on the whole, he has generally fared well in such circumstances. Which brings us to everyone’s favourite part – which is a big claim, given, you know, the beard, the wine-tasting and the volley that left Knight-Percival horizontal – of Romain Vincelot: the clinical copy and paste job of a header that constitutes all five of his goals this season. There’s a lot to like about a Vincelot goal but they’re always so emphatic: the slow rise and the twist in mid-air as he thunders into contact is nothing if not sublime. They’re never meek or understated. Even that awry half volley that careered in off Knight-Percival’s face managed to catch the attention of L’EQUIPE. Like most of his team mates, Vincelot endured something of a sticky patch in the final few weeks of November, but the signs are that the storm has been weathered. With City hoping for their fourth league win on the bounce this weekend, an in-form Vincelot should continue to be vital. JM: Dominic Poleon’s season was in danger of following his career pattern. During his time at Leeds, Oldham and Wimbledon, bright starts would tail off and the still only 24-year-old struggle to maintain his form. Certainly Poleon started off the season promisingly, scoring a handful of goals and generally proving a menace. He was playing with a high intensity. Running himself into the ground. Opposition defenders weren’t given a moment’s peace, at least until Poleon ran out of steam and would often be taken off in the closing stages. An injury at Bury in October stalled his season, but it arguably masked the fact his form was beginning to slip. He was guilty of missing presentable chances, especially at Gigg Lane. The work-rate wasn’t the same. Since returning from injury, Poleon has found himself lower down the pecking order, but not exactly grasping the opportunities he has been given. Illness might excuse his underwhelming showing against Oldham in the Checkatrade exit, but not his going-through-the-motions stance in the Rotherham group game. Without that intensity to his game, Poelon looks half the player. His recent display against Rochdale was much, much more like it. The work-rate was back. He gave his all for the cause. He scored a lovely goal, although once again wasted a one-on-one chance. Perhaps it was his ceiling performance, but more of the same would nevertheless be very handy for City. That is the standard, minimum. Poleon scored again at Southend a week later, and he is once again demonstrating his qualities. But it has to be sustained if he is going to make it work at Valley Parade. This is a player who scored 13 times for Wimbledon before Christmas last season, but none after. His career pattern – and with it the exposure of his limitations – keeps repeating and there have been hints of it going the same way. It’s in his hands to change it. TP: Jake Reeves was City’s big signing this summer. Wimbledon fans were desperate not to see him leave, and he came with a growing reputation as a midfield playmaker. He had big shoes to fill in replacing Josh Cullen, but for the first few months of the season he seemed to be the perfect replacement, with his excellent long diagonal passes being the perfect ammunition for our pacy frontline. However, since a shaky display against Bury his performances have dropped in standard, and he has two key weaknesses when compared to his predecessor. Firstly, he’s not quite as good positionally, meaning that our midfield is a bit more open and easier to cut through. 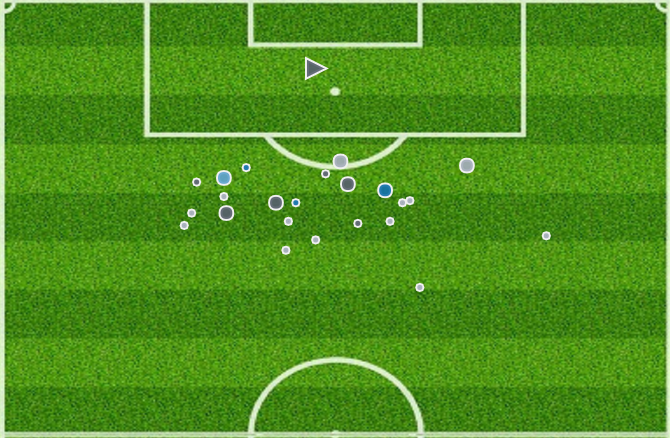 Secondly, his decision making isn’t as good – this causes him to lose possession more often and also means that he has tendency to take pot-shots from distance, particularly against the packed defences we face at home. The second half of the season will be key for him – if he can regain the form of the early season and cut out the aimless long range efforts, he could be a vital player in the push for promotion. JM: It’s been an unusual six months for Adam Thompson. 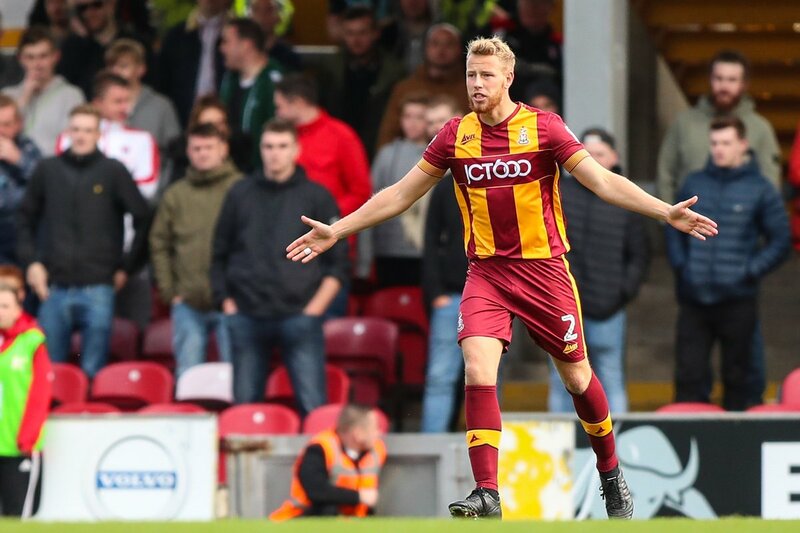 Out of contract with Southend over the summer, he turned down a move to Valley Parade in favour of a few more quid at Bury; only for him to be quickly made available to leave Gigg Lane, and finally rocking up at Bradford City on a season long loan. The problem for Thompson was it has meant he has had to play catch up. Had he signed for City in the first place, he probably would have began the season in the team. Instead, Matt Kilgallon and Nathaniel Knight-Percival have established themselves first choice. Thompson has had to get used to a place on the bench. But he has been playing his part. Unusually for a central defender, he has proven himself to be an effective substitute. When he has started in certain games, it’s proven more of a mixed bag. The main reason for that is his different style of defending compared to Kilgallon and Knight-Percival, which is proving less compatible. Thompson likes to play on the front foot, pressing his opponent by making challenges higher up the pitch. A bit like a League One Vincent Kompany. The last City defender to play in this way was Guy Branston. The risk of stepping out in the way he does is that if he doesn’t get the challenge right, he has left space in behind that opponents can take advantage of. And a handful of goals have been conceded by City because of this. Thompson doesn’t stay in line with the rest of the back four. Yet as someone to bring on when City are defending a lead, Thompson has been excellent. In these situations he has played alongside the other defenders, with the freedom to push out as he does, to win the ball higher up the park, with City still having cover behind him if he isn’t successful. So in games like Rotherham at home and Shrewsbury away, Thompson has made a significant impact off the bench. Helping his side to see out victories. It’s hard to envisage him earning a regular starting spot, which won’t be ideal for a defender with a lot of experience at this level. But he is playing his part and can be relied upon to do a job for his team. Thompson’s experience, ability and know-how could be vital over the second half of the season, even if we don’t rely on him week in week out. 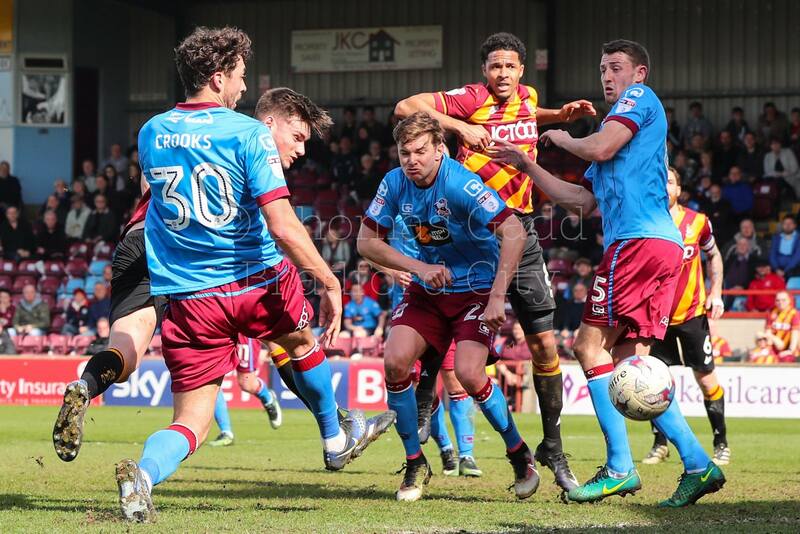 KW: Like an amicable break-up, there’s no one to really blame for the fact Timothee Dieng has made only nine appearances this season, a third of those came in the cups and he last started a league game for Bradford City on October 28th. Maybe Jake Reeves stole the girl, if you like, which would carry extra spice given the two played together and everything, but ultimately it’s difficult to pinpoint one player who has forced Dieng out the side after, in a particularly cruel twist of fate, Dieng sustained the calf tear that robbed him of six weeks of action. Dieng has before formed one half of a deep central midfield pairing alongside Reeves, but both are decidedly different in outlook. Dieng lacks the range and vision to instinctively hurl diagonal balls all over the shop in the way Reeves has trademarked. In exchange, you would expect – theoretically – greater security, but the late dismantlings at the hands of Sheffield United and Scunthorpe last season exposed a proneness about Dieng that felt concerning. Dieng’s injury coincided with Vincelot’s return from suspension and the manner in which Vincelot established himself as City’s first-choice midfielder, probably ahead of Reeves, was unsurprising. Vincelot is, at this stage, an older, wiser, more complete and consequently more influential version of Dieng. He’s a Dieng with a set-piece bonus mode. Now, Nicky Law is above Dieng in the pecking order. It’s not that Dieng hasn’t taken the few chances that have presented themselves – just that those chances are never really there. No one really needs to apologise to anyone. With the lights out on City’s Checkatrade Trophy dream for another year (one day, people, one day), City out of the Carabao Cup at the first hurdle and McCall, one would imagine, harbouring hope of progressing to the FA Cup fourth round, Deing’s window for a meaningful, centre-of-attention, all-eyes-on-me audition is shrinking. The path to first team league action is out of his hands: an injury or loss of form to Reeves, Vincelot or Law feels, at this stage, like the most plausible catalyst. Ahead of a packed winter schedule, though, that might be subject to change. KW: With hindsight, Nicky Law was always at risk of falling victim, to some degree, to City’s summer reshuffle. Gone were the players – James Meredith, Josh Cullen, Billy Clarke, Mark Marshall – with whom Law had each week tirelessly enacted McCall’s spellbinding brief, cast as the ball in the pinball machine, snaking and slaloming as the Big Four flipped and spun and whirred around him. Granted, at times they lapsed into the ponderous – still, that style was simply who City were. In came younger, more direct hands, some of that ornateness sacrificed in favour of something a touch more combative, a tad more abrasive. Initially, without the convenient wall-pass, there were times when Law looked like something of an anachronism, like a time traveller emerging into a new horizon: the dynamism that had characterised his early performances last season had been blunted. It took time for Law to happen on the steady consistency that characterised his first 20 games last season; yet, in due course, it arrived, notably as the team solidified its identity heading into the festive season. Law has straddled the realm between last season and this, preserving the positional wisdom that City, although now wired with a little more guile, needed to retain. It hasn’t always been easy. Law has at times been sublime, at times less authoritative than the commanding presence of this time a year ago. Law’s performances in the centre have reached the artful – Bristol Rovers – but there was an oddly porous quality to City’s midfield against Rochdale two weeks ago, with Law and Vincelot as the deeper two. This is not to say Law has been inconsistent: it’s probably more of a symptom of City’s inability – at least at home – to carve open teams who park the bus, activate the locks and start splitting their rations for winter, leaving City wondering who they are and what exactly they need to do to laser through twelve tonnes of Plymouth Argyle. In a team dealing with a largely different brief, Law hasn’t had to be the same figurehead as he did last season – the side needed a different focal point. All the while, though, Law has remained the closest thing City have to a Swiss Army Knife (copyright Alex Scott, 2016), deployable out wide and centrally, at his best still able to run a game as he pops up here, there and everywhere like a Whack-A-Mole game. Saturday’s win over Southend saw, in Dominic Poleon’s opener, arguably the best team goal City have scored this season; Nicky Law was vintage Nicky Law in the jinking run and short pass to Gilliead, who in turn picked out Charlie Wyke to guide the ball for Law to square to Poleon. Such moves defined City last season but have been less obvious this – but Saturday proved they’ve still got it. Arguably the most striking thing about City in recent weeks has been Wyke’s maturation into a more complete forward, moving from a deadly finisher to a wily architect with a penchant for a cutting through-ball. Were they to pursue this in earnest in the new year, Law would likely find himself at the team’s heart once more. Like it says in the tin, this critique lays bare a lot of the myth and legend about the City performance over recent months. We all know how capable the squad are and that’s where much frustration and negativity can stem from if they under-perform. The fact that we have spent virtually all of SM’s reign to date in a play-off spot is testament to what he and they have achieved thus far and if anyone had said there was a chance of that, entertaining exciting football and the odd blip or two, with quick cup exits et al, then I would have very willingly taken it when PP left under such a dark cloud and under such disarray. I suspect most true fans would have embraced it willingly and still do. How far we have transformed in one and a half seasons! Interesting stuff. I was hugely relieved when Tony M re-signed in the summer. Having seen cntract extensions agreed wth Matt Killgallon, Romain Vincelot & N K-P, i’m really hoping to see Tony agree one. I wonder if discussions are going on now- is the sticking point that he’s being offer a year, but at his age, wants longer? In the week that his assists record has compared to Man City’s finest, I’d give him a couple of years. Mike Willett on Paradise Lost, Paradise Found?